UNDATED - Gasoline prices in South Dakota have risen 1.6 cents per gallon in the past week, averaging $2.83/g yesterday, according to GasBuddy's daily survey of 628 stations in South Dakota. This compares with the national average that has fallen 0.8 cents per gallon versus last week to $2.83/g, according to GasBuddy. $2.48/g in 2017, $2.22/g in 2016, $2.31/g in 2015, $3.31/g in 2014 and $3.57/g in 2013. Including the change locally during the past week, prices yesterday were 35.3 cents per gallon higher than a year ago and are 1.2 cents per gallon higher than a month ago. 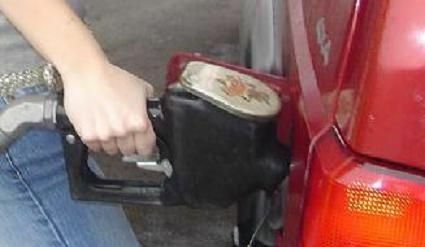 The national average is unchanged during the last month and stands 28.8 cents per gallon higher than a year ago. Sioux Falls- $2.81/g, up 4.7 cents per gallon from last week's $2.76/g. North Dakota- $2.83/g, up 3.8 cents per gallon from last week's $2.80/g. Nebraska- $2.86/g, up 8.5 cents per gallon from last week's $2.77/g.